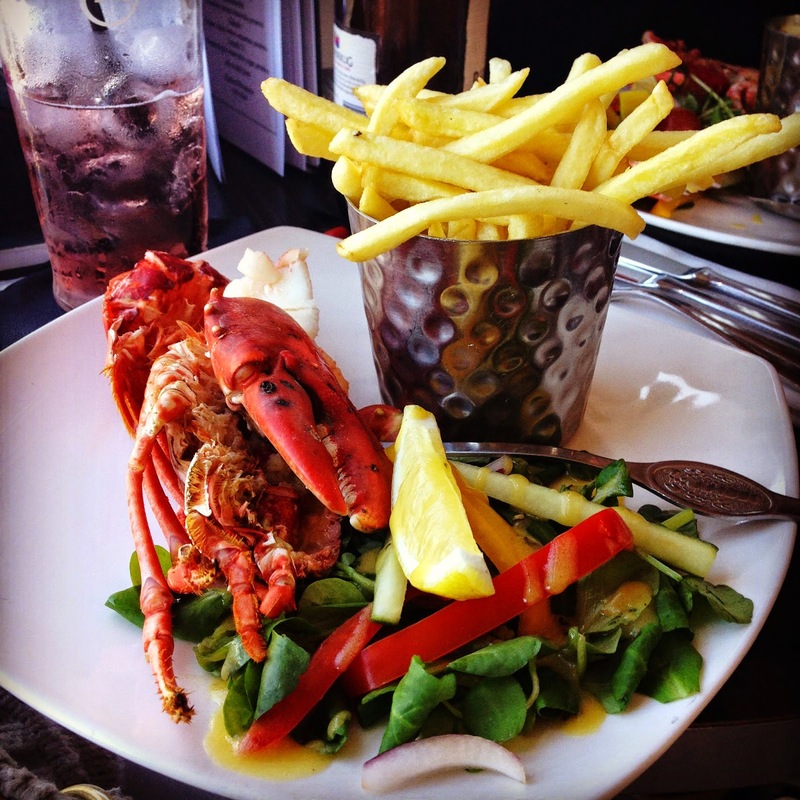 Lobster and chips beside the sea – delicious! There’s a whole lot of history going on beneath the sun, sea and sand surface of this charming North Yorkshire town. 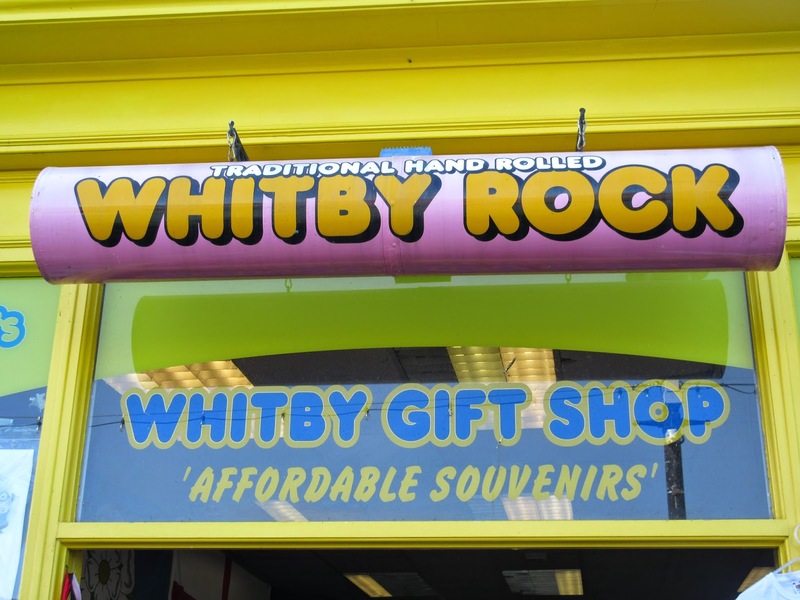 The name Whitby comes from the Old Norse for ‘white settlement,’ and it is famous for fishing, jet, tourism and fish and chips. Fish and Chips are BIG business here. The winner of the national award for fish and chip shop of the year, the Quayside restaurant, is here, proudly displaying its winner’s banner, and the Magpie cafe next door is no slouch in that department either. Queues of hungry visitors snake out of doors and down steps. We tried lobster and chips at the Moon and Sixpence on day one just to go a bit upmarket, which was very nice indeed. We sat in the window looking out onto the harbour which is always packed on a sunny day. It’s like the ramblas of North Yorkshire. Lobster and chips is all very well, but we were still obliged to get regular cod and chips the next day so as not to break with tradition. It’s no wonder I’m not getting any thinner. 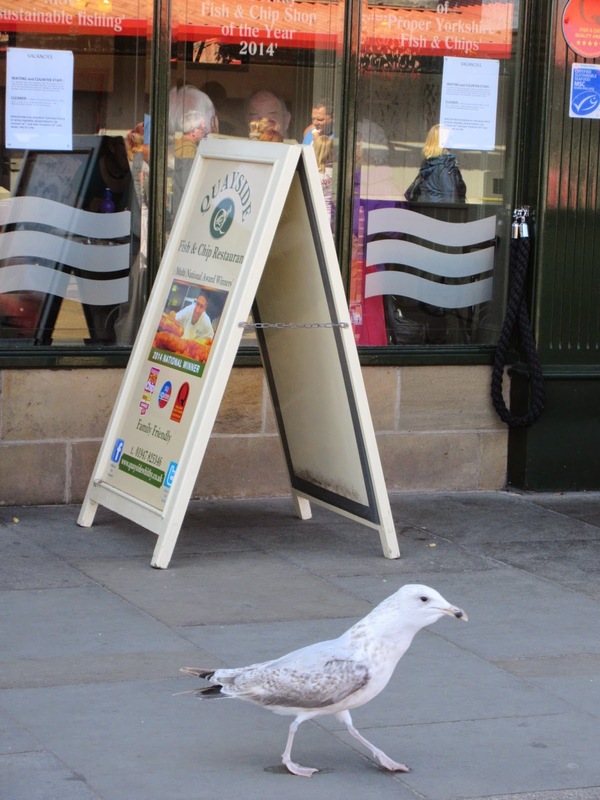 The seagulls at Whitby do very well as a result of the large amount of detritus available from both the fishing boats and the numerous fish and chip emporiums. These scavenging birds are large, numerous and very tame. Some of them are a big as dogs – well maybe I exaggerate a little. I did see one take a huge beak full of a fallen fish supper outside the Quayside restaurant and then make off at a brisk walk, looking for all the world like a shop lifter trying not to attract attention to themselves. 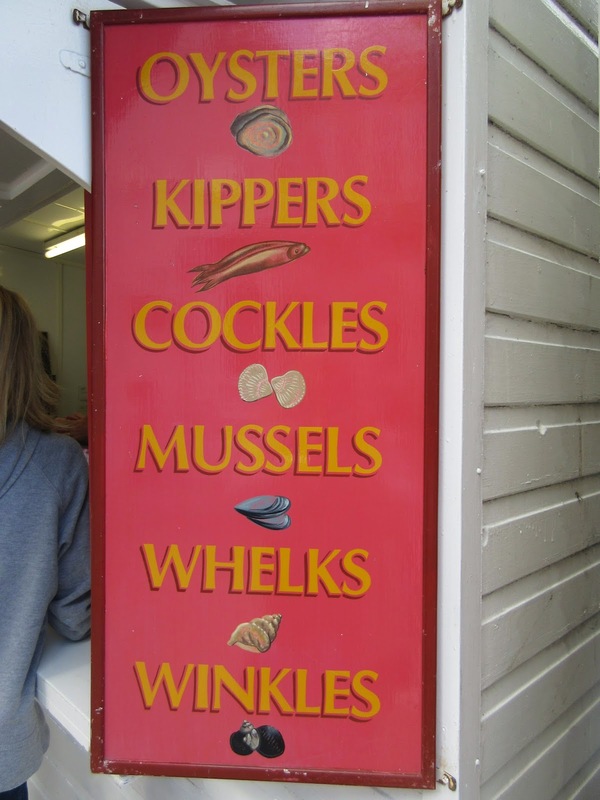 As a fishing port, Whitby developed important whaling and herring fleets in the middle ages (there is still the huge jaw bone of a whale at the top of the West Cliff next to the statue of Captain Cook) and fishing is still a key activity today. Despite there being a lot less things to fish out of the sea these days, tourists still go out on the fishing boats. 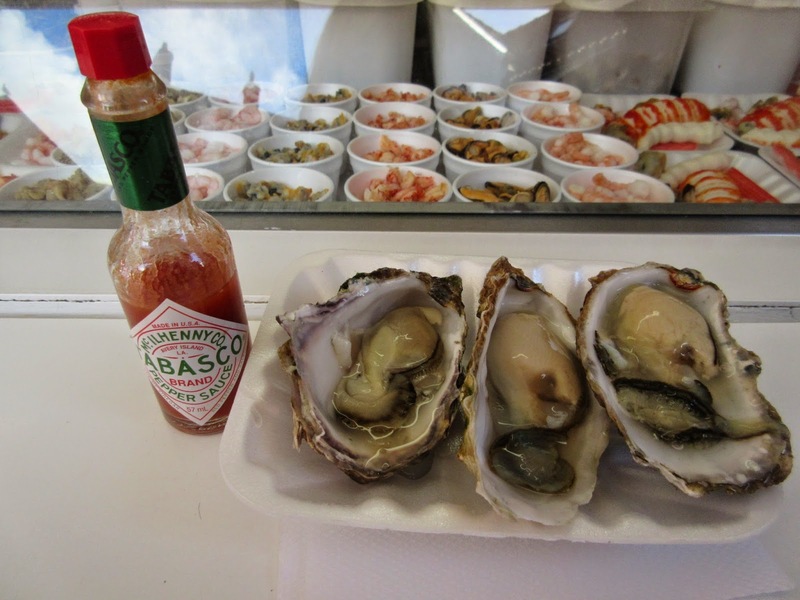 And crabs and lobsters are still caught and sold in the town’s fresh fish emporiums. Any sign of sea food? 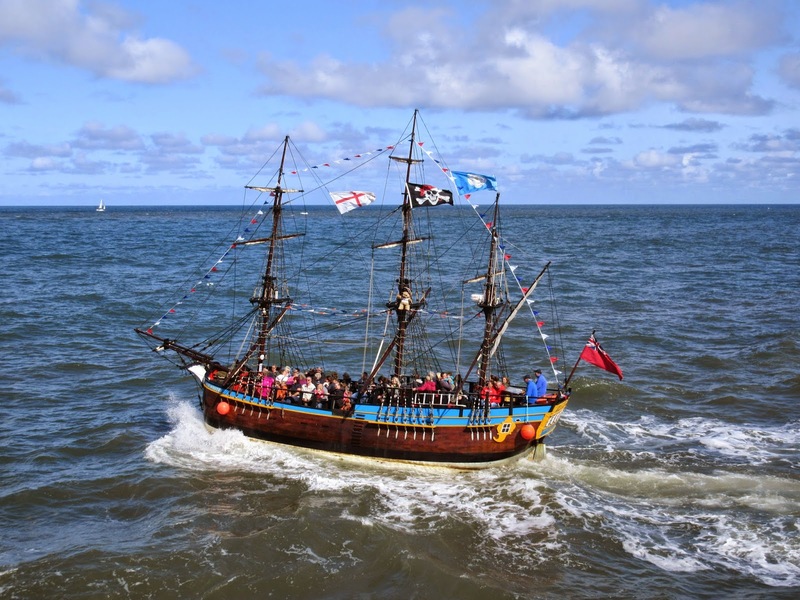 There are a number of boat ride experiences on offer for visitors leaving from the harbour, including the option to ride on a 40% replica (why 40 %?) of Captain Cook’s ship, the Endeavour, which has hoisted the Jolly Roger for some reason. It was a blustery day when we were there, and the sea was pretty frisky. Being very prone to sea sickness myself, I watched the small ship’s bouncing exit from the harbour into the spray with its human cargo clinging on, and I was very glad I wasn’t on it. The oldest and most prominent landmark is the Gothic majesty of Whitby Abbey at the top of 199 steps. Almost everyone who visits Whitby seems to have a compulsion to climb the steps up to the Abbey if they’ve got the legs for it, and also to count them as they go. Even though at the top it tells you there are 199 it’s as though we all need to verify it personally. 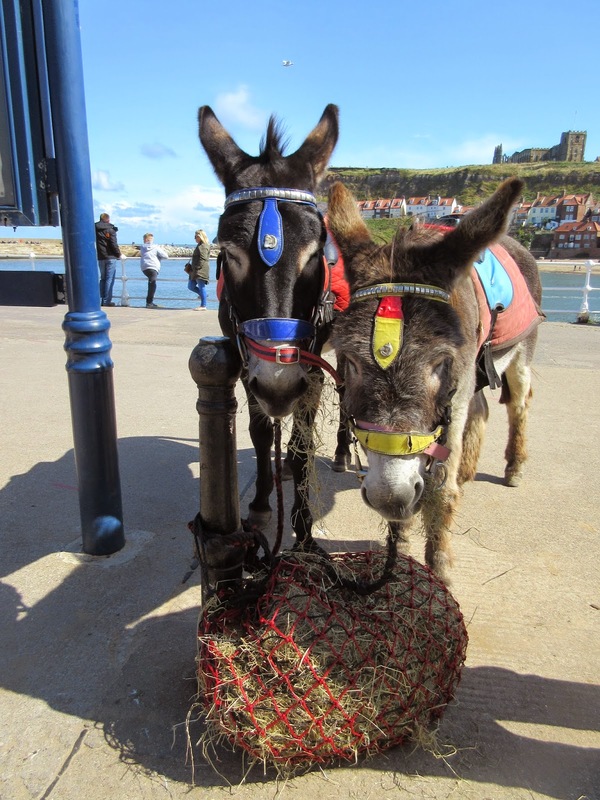 Whitby is also famous for themed weekends. There is a Goth weekend, a Folk weekend, a Northern Soul weekend and a Forties weekend for starters. Some of these weekends are apparently starting to get confused and Forties Goths have now been spotted. I think this indicates some sort of gene pool confusion starting to develop.. The town has literary links with Bram Stoker’s Dracula; some of the story is set here as the author spent time on holiday in the town. 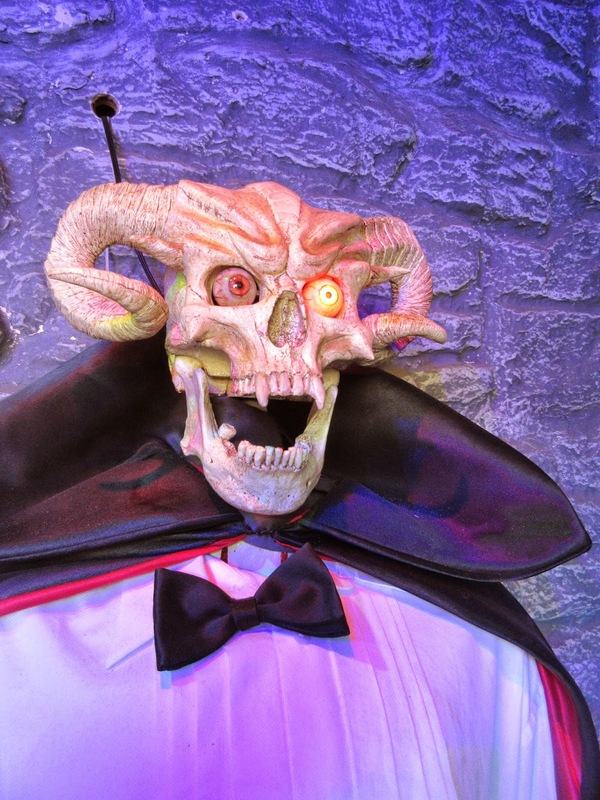 There is a small ‘Dracula experience’ attraction which I thought I would risk in the interests of my blog. Once I was inside it however, I couldn’t hear any of the Dracula related commentary because of a small gang of screaming children behind me who alternated extensive ear splitting screams with exclamations of ‘This isn’t very scary!’ It was so pitch black I couldn’t see the promised voluptuous Vampires or anything else really, except when the ‘live actor working today,’ jumped out from the darkness wearing a scary mask, causing me to emit an ear splitting eek of my own. Dracula is not looking well..
Tourism started in Whitby during the Georgian period and developed further on the arrival of the railway in 1839. Although Whitby suffers economically from being geographically isolated and doesn’t have great infrastructure, it does means that the town hasn’t changed much, and it now has rather a trendy retro feel. Things always come back into fashion if you leave them alone long enough. 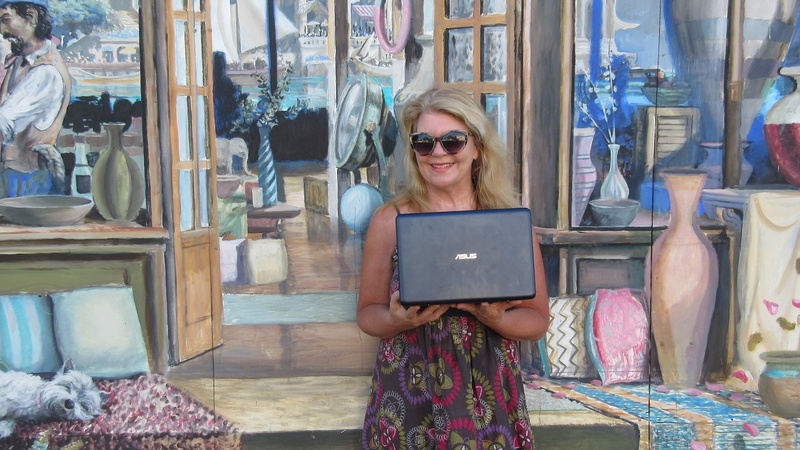 It has a bit of a hippy vibe with homemade bread shops and spiritual retreats here. One of my favourite places is the Wash House pottery which is just off the narrow windy street up to the Abbey next to some fisherman’s cottages. It has been there since the eighties. 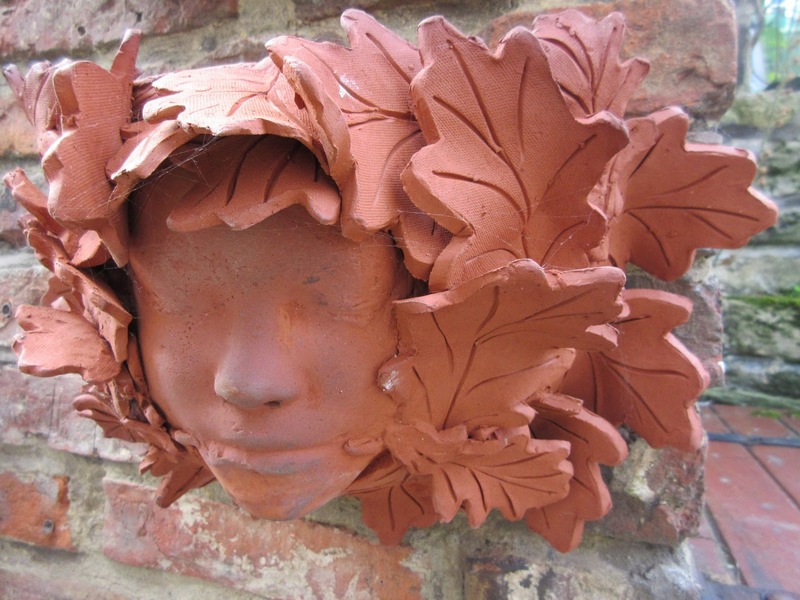 I bought a beautiful Green man wall planter modelled on the face of the potter’s son. I know it sounds creepy, but it isn’t, it’s beautiful. 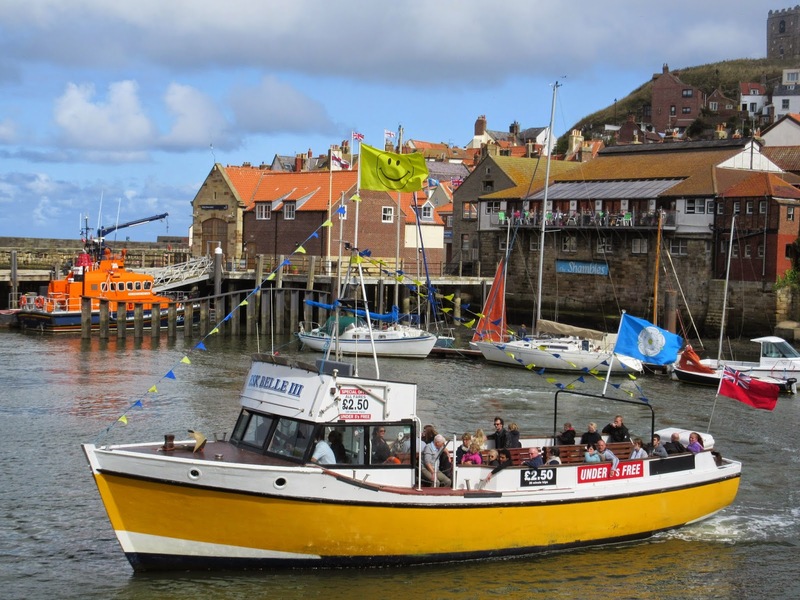 Whitby is an important part of the dramatic and beautiful North Yorkshire coastline. 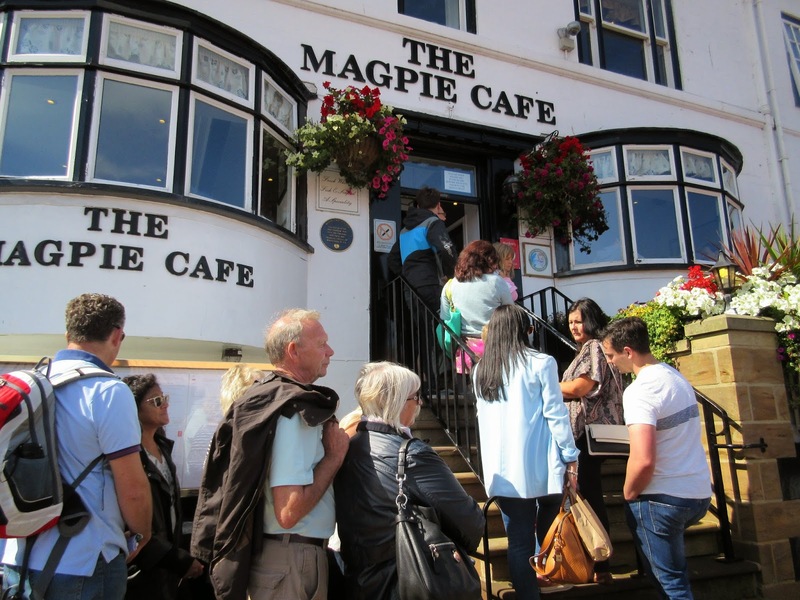 If you drive over the moors, past villages with names to chew on like Slapewath, Grinkle, Cross Butts and Ugglebarnby, you will find your way to the fish and chip Mecca of the North. Whitby is a special seaside place, Captain Cook learned his trade here and he was a man who certainly went a long way, so if it was good enough for him, it’s good enough for me.